The Certificate III in Information, Digital Media and Technology provides the skills and knowledge individuals require to be competent across a wide range of technical functions in Information and Communications Technology (ICT), and allows graduates to demonstrate a degree of self-sufficiency as users. 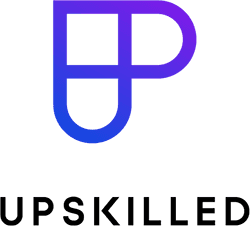 Upskilled Information Technology courses include detailed learning materials, assessments, online trainer support and certification upon successful completion. Option 2 – 24 Month Interest-free payment plan. No deposit, no interest to pay for 24 months. Get started for just $38 a week! Hello, I would like to enquire about Certificate III in Information, Digital Media and Technology. Can you please provide me with some more information?